"I wish to reign over souls, over nations, over the whole world." The outbreak of the war of 1870 released new forces of irreligion but also brought about the fulfillment of another wish of Our Lord expressed to Saint Margaret Mary: the sign of His Heart appeared upon banners. Love sometimes brings "not peace but the sword," and through conflict the Devotion was woven into national histories. A saintly invalid, Monsieur de Montagu, grieving for the fall of Paris, was inspired to have a flag embroidered in letters of gold "Coeur de Jesus, sauvez la France." It was made by the Religious of Paray and given to Colonel de Charette, leader of the Papal Zouaves, who carried it into the smoke of the battle of Loigny. At the sight of it a wave of courage swept the regiment into combat, where many "fell in the Heart of Jesus." "Christo ejusque sacratissimo Cordi Gallia poenitens et grata et devota." The consecration of other nations preceded and followed that of France, each a step in the spiritual unification of Christendom: the Tyrol, Ecuador, Portugal, Belgium, Ireland, Spain.2 It was the expression in larger units of the tendency towards group consecration of which the formation of the "Society for the Social Reign of Jesus Christ" was indicative, and which became the theme of the first Eucharistic Congresses.3 Factories, communes, employment groups, cells of Catholic Action invoked the Divine Heart in their titles and in their programs. It was the era of "Cor Jesu, Rex et Centrum Omnium Cordium." Last summer, when Your Holiness was suffering from an indisposition which, taking into consideration your great age, filled the hearts of your children with anxiety, it was a great consolation to me to know from Our Lord that He would prolong the life of Your Holiness, in order to bring about the consecration of the whole world to His Sacred Heart. Later, on the first Friday of the month of December, He told me that in order to grant you this great grace, He had prolonged the life of Your Holiness, and He left me under the impression that, after making the consecration, Your Holiness would soon finish your earthly pilgrimage. On the eve of the Immaculate Conception Our Lord made me understand that, by this fresh development of the cultus of His Divine Heart, He will illuminate the entire world with fresh light, and these words of the third Mass of Christmas penetrated my heart: "Quia hodie descendit Lux magna super terram." I seemed to behold rays descending from this light, the Heart of Jesus, that adorable sun, and shedding its rays upon the earth in a faint manner at first, then brighter and brighter, till the world was illuminated. And He said: "People and all nations shall be enlightened with the brightness of this light, and warmed by the intense heat of its rays." I understood the ardent desire He has that His adorable Heart may be glorified more and more, and be better known, and spread Its gifts and blessings over the entire world. And He has chosen Your Holiness, prolonging your days in order that you might give Him this honor, console His outraged Heart, and draw down on your own soul those choice graces which flow from this Divine Heart, the source of all grace, the abode of peace and happiness. I feel unworthy to communicate all this to Your Holiness; but Our Lord, after impressing my misery on me more and more, and making me renew the sacrifice of myself as victim and spouse of His Heart, accepting willingly all kinds of sufferings, humiliations and contempt, gave me a strict order to write again to Your Holiness on this subject. It may seem strange that Our Lord should ask for the consecration of the whole world, and not be satisfied with the consecration of the Catholic Church. But His desire to reign, to be loved and glorified and to inflame all hearts with His love and mercy, is so intense that He wills that Your Holiness should offer Him the hearts of all those who, by holy Baptism, belong to Him, in order to facilitate their return to the true Church, as well as to hasten the spiritual birth of those unBaptized ones who have not yet been made partakers of the spiritual life, and yet for whom He has given His life and shed His Blood, and therefore has equally called them to be one day children of Holy Church. And since there is in the Sacred Heart a symbol and a sensible image of the infinite Love of Jesus Christ which moves us to love one another, therefore it is fit and proper that we should consecrate ourselves to His most Sacred Heart ---- an act which is nothing else than an offering and a binding of oneself to Jesus Christ, seeing that whatever honor, veneration, and love is given to this Divine Heart is really and truly given to Christ Himself. For this reason We urge and exhort all who know and love this Divine Heart willingly to undertake this act of piety; and it is Our earnest desire that all should make it on the same day, so that the aspirations of many thousands who are performing this act of consecration may be borne to the temple of Heaven on the same day. In answer to this Encyclical bishops and pastors the world over read the now familiar "Act of Consecration of the Human Race to the Sacred Heart of Jesus" composed by Leo XIII for the Feast Day in 1899. Mother Mary of the Divine Heart died while the bells were ringing for First Vespers, to share from Heaven in the outpouring of graces promised by the Pope as a result of this "greatest act" of his pontificate. The nineteenth century has deified love, even human love, even sinful love. In practice such has always been the tendency; love, like all the passions, has received man's idolatrous homage. But to maintain in theory the absolute rights of love, to justify it even in its most monstrous excesses, to insist that all laws, human and Divine, should give way before it, to make it the supreme god, this task was reserved for the literature of the nineteenth century. This is what the masters of the greatest repute in poetry, in fiction, in dramatic art, have done. And they have found only too many disciples prompt to accept their teachings. To this idolatrous worship of human love, of selfish love, the Devotion to the Sacred Heart opposed the worship of the true God who willed that He should be described as love (Deus caritas est); of the Divine love that gave us Jesus, and became incarnate in Jesus; of love supremely noble and well-ordered; of love divinely pure and disinterested; of the love that sacrifices itself to teach us how to love Him whom we should love, and how we should love; which gives us as our model, our rule, as an incentive to our love, even the love of God, the love of Jesus, that thus by deifying our love we may labor to divinize, if I may so speak, our lives. Together with this idolatry of love, the nineteenth century, under cover of science, has preached a conception of the world in which love should no longer have any place except as a blind instinct and as an unconscious force. All would be ruled by fatal laws. Everything would be reduced to the evolutions of an impersonal nature, without soul or heart, in which man would be but one of the countless wheels of the immense machine, carried away himself in the universal movement with phosphorescent gleams on the surface of the waves, then to be lost forever in the fathomless abyss. Such for a half century was the self-styled scientific conception of the universe. Such was the conception to which many savants steeped in philosophy, many philosophers steeped in science, have lent the seductiveness and prestige of their learning or of their style. In face of this fatalistic conception doomed to end in gloomy pessimism, stoically resigned (like that of Taine), or in false, mocking laughter (like that of Renan), Christian philosophy, apologetics and theology have valiantly maintained the unshaken truths of reason and of faith, the Christian and judicially optimistic conception of the world. But for souls something more was necessary than abstract naked truth. 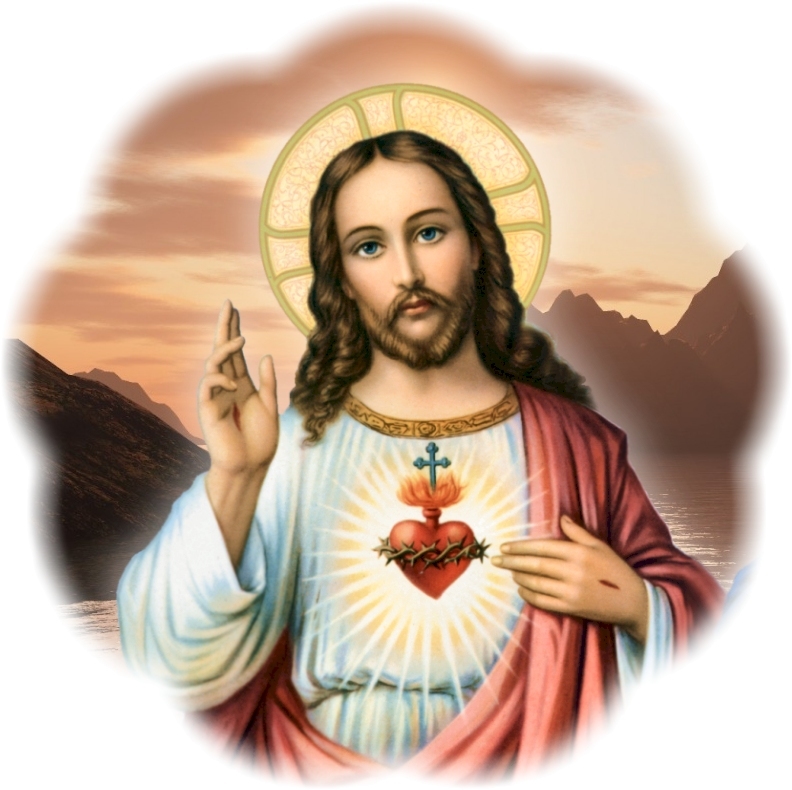 Devotion to the Sacred Heart, by offering them the Heart of Jesus, reminds them of the supremacy of love in the government of the world, makes them see and experience in everything the loving and fatherly providence of God, see and prove the love of Jesus, who has become our brother to make us children of God and to draw down upon us, guilty, miserable children as we are, the Divine favors that, from the well-beloved Son in whom they abide, flow down upon us. What Saint Theresa saw in this luminous flash of understanding she left for the twentieth century to explore after her; it would find that the love animating the Church's members was that of the Heart of the totus Christus. 1. The message given to Margaret Mary for Louis XIV was thus fulfilled unknowingly, nearly two centuries later. See the history of the building of Montmartre in Hamon, op. cit., Vol. V.
2. These were all cases of consecration made by representatives of civil authority, such as can only be made in Catholic countries. In countries in which the faith is not recognized by the government, consecrations can be made by ecclesiastical authorities. 3. The movement for Eucharistic Congresses was initiated by Mlle. Marie-Marthe Tamisier (1884-1910), who had a profound devotion to the Sacred Heart which she found living in the Blessed Sacrament. 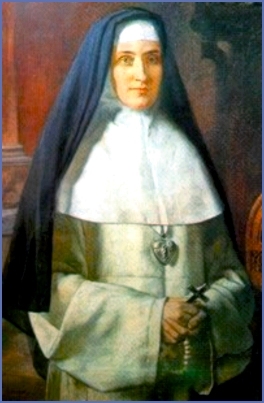 She was educated at the Sacred Heart Convent at Marmoutier, and later devoted much time to the care of the shrine of Our Lady of the Sacred Heart at Issoudun. 4. L. Chasle, Sister Mary of the Divine Heart (New York, Benziger, 1906), p. 352. 5. Summa Theologica, III, q. 8, a. 3. 7. 1 Tim. 2, 9. 8. 1 Pet. 2, 9. 9. American Catholic Quarterly Review, July, 1899. 10. Bainvel, op. cit., p. 345. The prayer quoted is that of Saint Madeleine Sophie. 11. 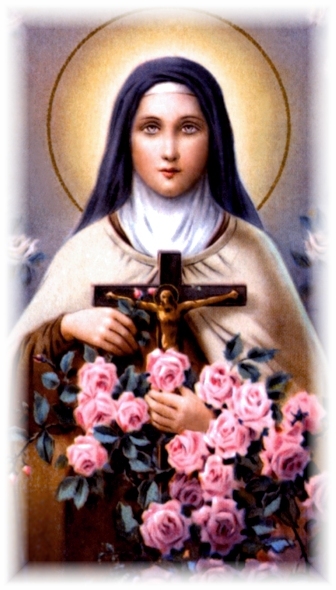 Soeur Therese of Lisieux (Kenedy, 1924), p. 203. The other short quotations are taken from scattered passages in the Saint's letters, etc.